One of the biggest (and coolest) new baby products to take the baby market by storm is the DockATot! If you're pregnant, or have small-ish kids, I'm sure you've heard of it, but if not, please let me introduce you. 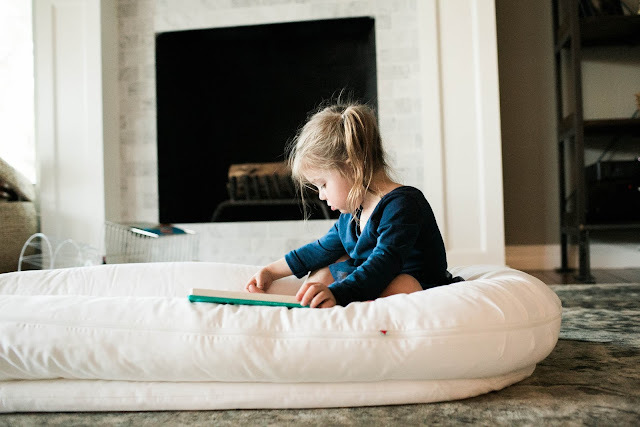 This is the absolute perfect, portable, lightweight sleeper/lounger! It is so soft, and is all air-permeable so you can know it's 100% safe for your babe. It's comfy, sleek and modern, and great for so many things! 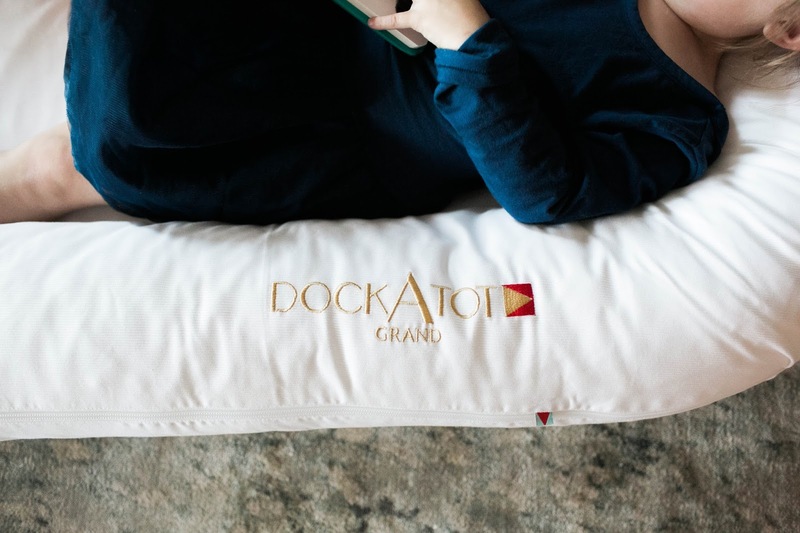 The DockATot comes in two sizes: deluxe, which is great for babies 0-8 months, give or take...and the grand, for bigger babies and toddlers. While I haven't used this with a baby yet, I am already the biggest fan! Saydee and Knix LOVE this thing, and I always find them sitting in it playing, reading, or watching movies. 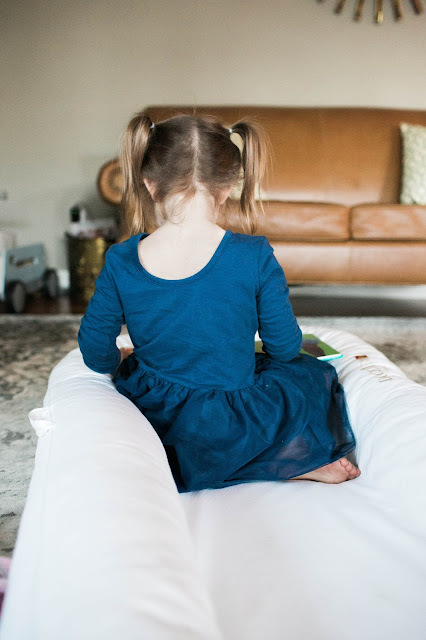 It's so lightweight and easy to move around, and the outside has a cover that you can unzip and throw right in the wash, which is obviously a huge necessity with kids. I can't wait to get the deluxe version if/when Baby Sogard #3 comes along. 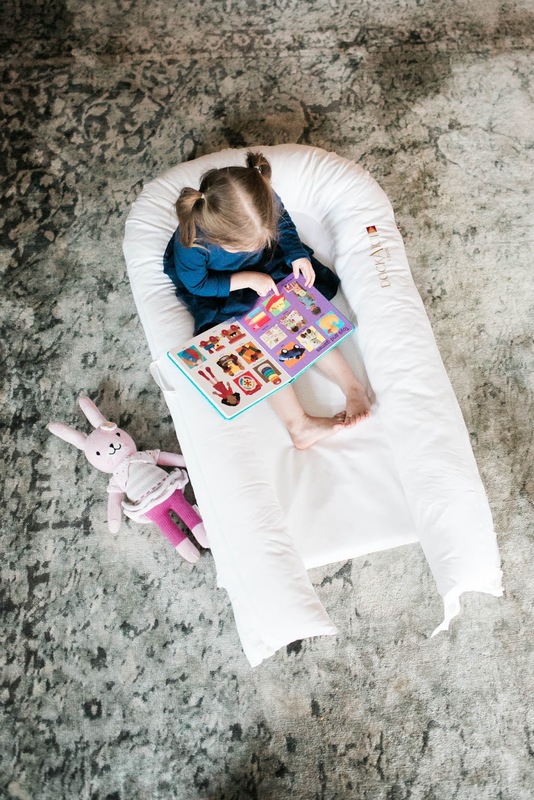 I've heard so many amazing things about babies sleeping great in the DockATot, and I already know how useful this would be for a mama with a newborn. LOVE. IT.